Upcoming Gospel Artist JONEAGLE has finally dropped his long anticipated debut titled "BLESSINGS". Following the prophecy of the senior pastor of Christ Embassy PASTOR CHRIS OYAKILOME. 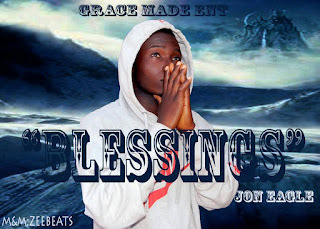 JONEAGLE draft his debut from the prophetic words of the Man of God and has then used it in his latest single BLESSINGS. This debut describes how God has blessed him in all his endeavours following how he passed through rough times when coming as a young vibrant child. JONEAGLE is a passionate young upcoming Gospel artist with total submission to God's will. With his rap genre of music, he has made waves as an upcoming artist due his uniqueness in style of music.